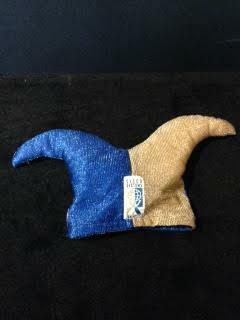 For 2013 the CAE was held at Universal Studios, Fl theme park – and the hat was fitting for a tribe on Minions! Our hats this year were from the movie Despicable Me, a Minion! Our band that year was the legendary Journey! 2012 brought us to San Diego, CA for the event. The CAE was held at PETCO Park, home of the San Diego Padres. In true form, our hat this year was a light-up Baseball cap. I remember seeing Red and Blue hats if someone has a picture of the red hat – please share it with me and I will post it! The band that year, Wheezer! In 2011 the CAE was held at the M Resort in Las Vegas, NV. The hats where amazing, they light up and blinked – looking over the crowd wearing those hats was a great site to see! The band that year, Ok Go and Train. 2010 saw us in Las Vegas, NV again. And in true Vegas form, everybody at the CAE was an Elvis impersonator! Whether we had black, yellow, or blue hair – we all looked like Elvis! This year the CAE was at the MGM Grand Arena and the band was Smash Mouth! 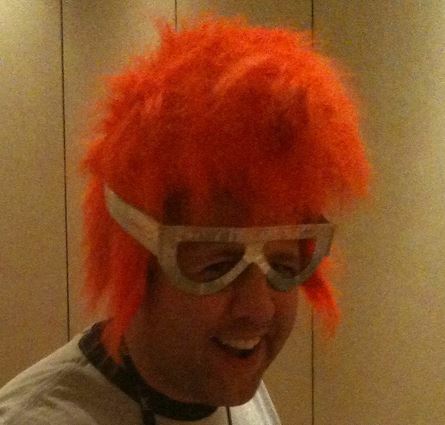 Thanks to Steve Rossen for modeling the wig here. 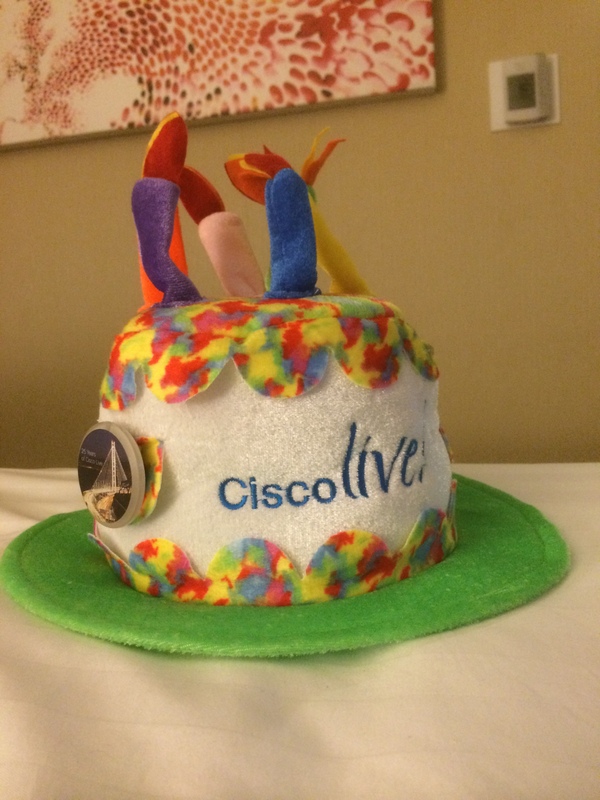 Whip it good – the 20th Anniversary of Cisco Live Networkers! 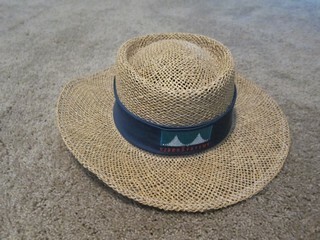 The hat for this year was a great match to one of the bands that we rocked the 80’s to – Devo! We actually had many bands from the 80s at Treasure Island – some of the other bands included The Bangles, Tone Loc, Tears for Fears, Flock of Seagulls, and Howard Jones. Ah, Orlando, FL! Just like 2012, the 2008 CAE saw us over at Universal Studios, FL Theme Park. It is a great place for the CAE – lots of room and just a great time! What was different in 2008, Cisco also had the Hard Rock Cafe for the concerts. This year they had Blue Man Group and Bare Naked Ladies. Oh, my, Anaheim, CA memories! 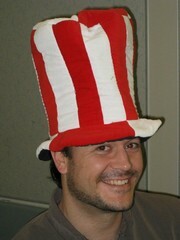 The hat this year was a Flaming Top Hat that went well with our CAE event. I will be honest, the CAE was out in the middle of no-where and was quite a bus ride (like 45 minutes! ), but it was for good reasons. The band for 2007 is dubbed “The loudest band in the world” – KISS! 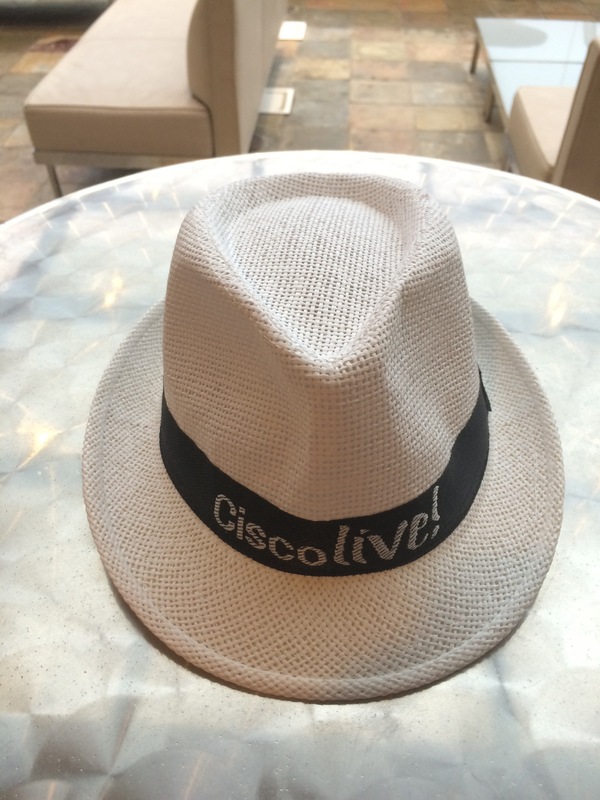 As you can tell, Las Vegas is a great place for an out of this world Cisco Live event – plenty of room and variety. For 2006, the CAE was over at the UNLV stadium (if I recall correctly). The band for that year, well I do not remember one as they had a great Battle Bot arena instead! That was just cool to watch robots smash each other up! Ah, 2005 – my first Cisco Live event. The CAE this year was held over at the Palms resort and was a great time! I do not recall who the band was, but if you know – please let me know and I will add it. For 2004, Cisco Live was held in New Orleans, LA. Where do you put a bunch of party crazy people in New Orleans? The Superdome! The band for 2004, was actually a Cisco Employee band, kinda neat! Please share with me via the feedback button or by leaving a comment if you have more information on this event. 1993 – Cambridge, MA Please share with me via the feedback button or by leaving a comment if you have more information on this event. Please share with me via the feedback button or by leaving a comment if you have more information on this event. The hat I have listed here is not guaranteed to be correct, but it was the last unknown hat I had, and based on the process of elimination, I am assuming it is from this event. There was a time a few years ago that John Chambers brought his predecessor, John Morgridge, on stage and they talked about the history of Cisco Networks. What I recall about the discussion of the hat, was that it was a train engineers type hat. 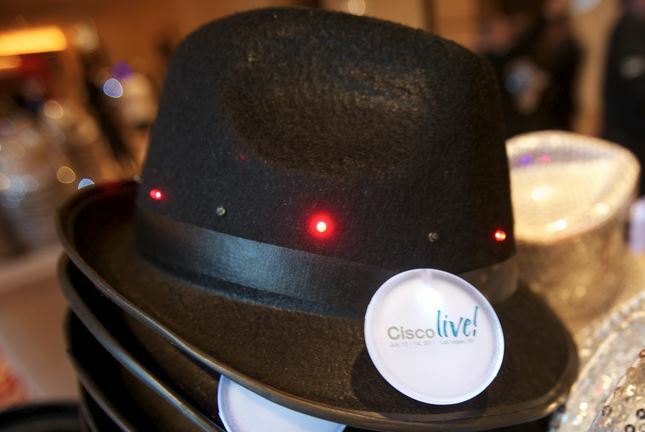 Well, last week at Cisco Live 2014 he wore it and someone sent me a link to the picture!!! Click on the picture to see the full size image! Special thanks to Sean for the Chicago and Dallas hat information.